An independent third-party audit resulted in certification of Volkswagen Chattanooga as a “Top Employer” for 2019. Volkswagen Chattanooga is one of 23 U.S. employers to receive this acknowledgement from the Top Employers Institute, a global independent Human Resources certification company. To be certified as a Top Employer, 600 working condition practices and indicators are assessed and validated. The Top Employer Institute specifically acknowledged Volkswagen Chattanooga’s efforts in three key areas: workforce planning; career and succession management; and talent strategy. Additional human resource practices evaluated by the organization include: onboarding; learning and development; performance management; leadership development; compensation and benefits; and culture. The annual, international research recognizes employers around the world who successfully achieve the required standards for top employment practices and working conditions. 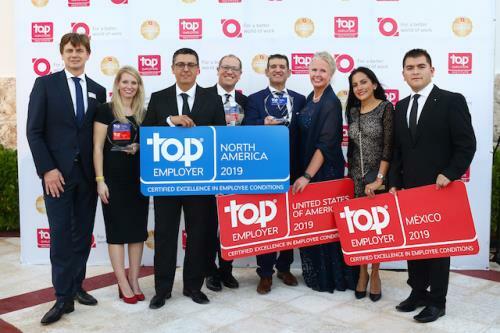 The Top Employer Institute has certified and recognized more than 1,500 companies in 118 countries across five continents since 1991.